What is a Mockingjay? Who is Katniss? Where are The Hunger Games held? Who wrote Hunger Games? 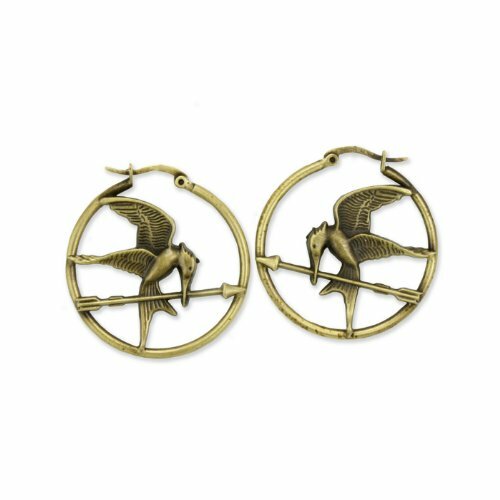 Where can I get Mockingjay jewelry? The Mockingjay is the symbol of hope, and of rebellion too. A cross between a Mocking bird and a Jabberjay, this fiction futuristic bird was created in the stories of The Hunter Games, which was written by Suzanne Collins. The Mockingjay pin features in the movie when it is presented to Katniss Everdeen. Suzanne Collins wrote all three books in the trilogy called The Hunger Games. The third book of the series is, in fact, called Mockingjay. Katniss Everdeen is the unlikely heroine of the stories, all of which are told from her own viewpoint. A friend of hers, Madge, presents her with the token featuring the bird and an arrow in a golden circle. 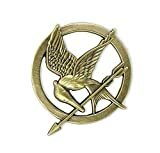 The Mockingjay jewelry, especially the pin, has been bought by millions of fans of the fantastic adventures of Katniss and her fellow district 12 tribute, Peeta. 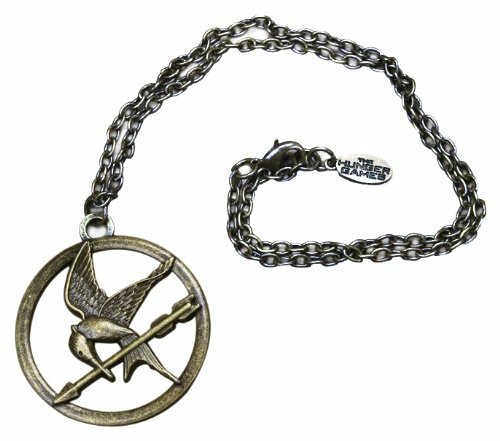 The best of the Hunger games memorabilia is shown below. The setting is in the future where the administration forces young boys and girls to fight and kill each other. There are 12 districts and each one is unique at producing food, minerals, electronic good or even wealth itself. Districts with low numbers such as 1 - 4 are wealthy but real poverty exists in the high numbered Districts of 10, 11 and 12. Katniss represents the female side of District 12. Candidates from each district are called tributes and must be aged between 12 and 18 years old. Each district must provide a male and female tribute for the deathly battle which takes place on a yearly basis. The horrifying thing is that only one person can remain alive at the conclusion of the games. A sort of Olympics gone horribly wrong. The bloodbath is shown on live television and citizens of all 12 districts are compelled by law to watch the proceedings. The Jabberjays were fictional birds who could repeat conversations verbatim and were used by their overseers to spy on the citizens of Panem (home of all the districts). When the ordinary people discovered this, they made up stories which the unfortunate birds took home to their masters and caused mayhem. The Jabberjays were punished by being exiled and left to perish, as their were no females to breed with. 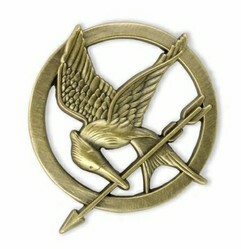 The Mockingbirds were their saviors and the offspring of the Mockingbird and Jabberjay union were called Mockingjays. The Mockingjay symbol is recognized easily and is synonymous with Katniss Everdeen, District 12 and the Hunger Games movie. You can write at Wizzley too! I loved the Hunger Games movie - dark and compelling at the same time. I believe that you do get the best of both worlds when you read the book and see the movie. The key is to read the book first and formulate how you think the characters will look. if you do it the other way round then it is difficult to get the big screen image out of your head. Thank you katiem2 for taking the time to comment and for visiting the article in the first place. The books are always better IMO, but they can't pack all the details into a movie other wise it would be to long and not good commercial material. I love both reading the books and then enjoying the movies on the big screen. The best of two worlds and a nice comparison for the second go around.